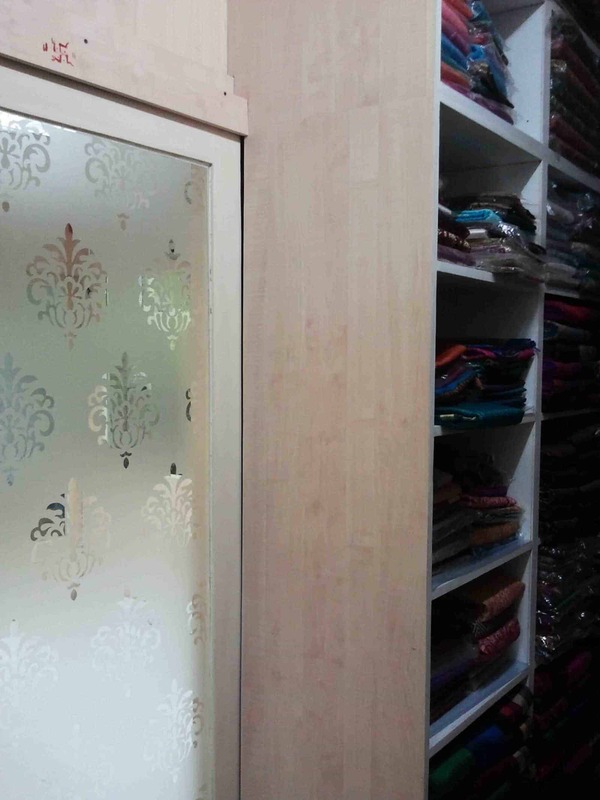 Rathi saree showroom got all the window partitions with a saree motif that repeated everywhere. 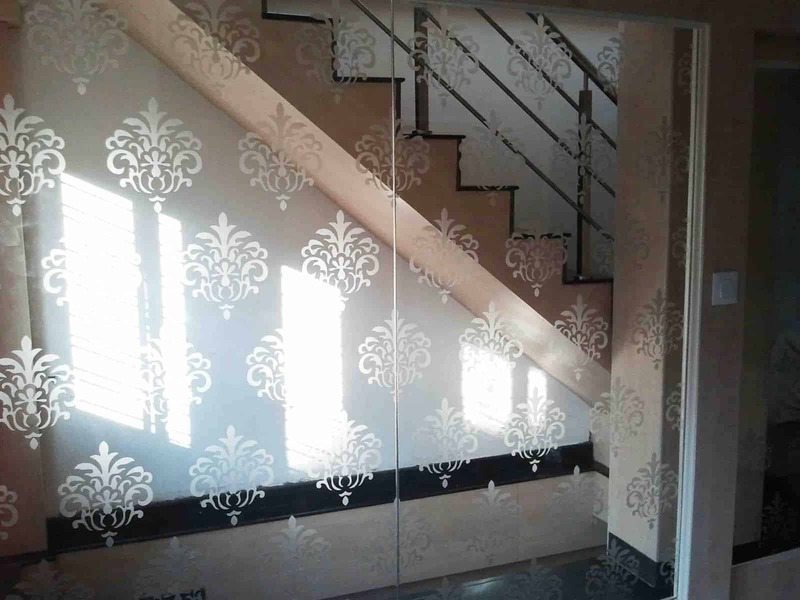 The repeating pattern increased the depth and changed the view when the designs were seen through a series glass partitions. 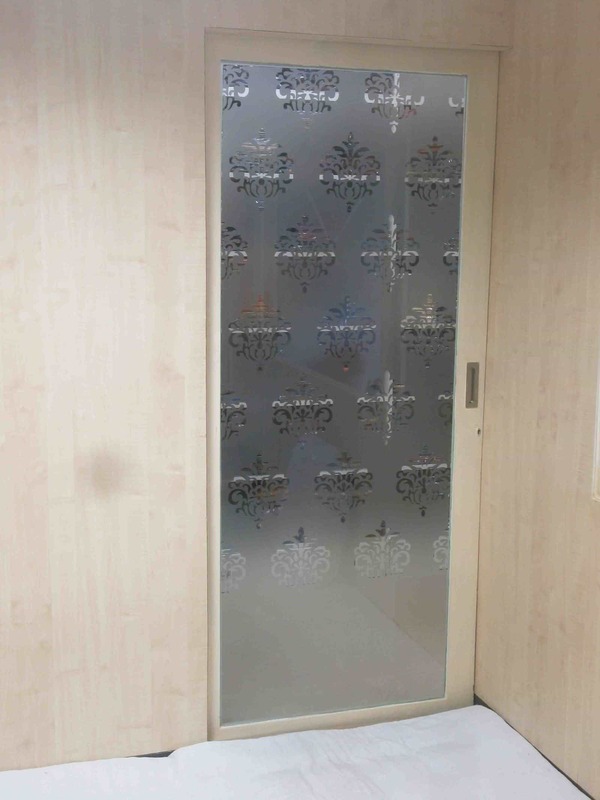 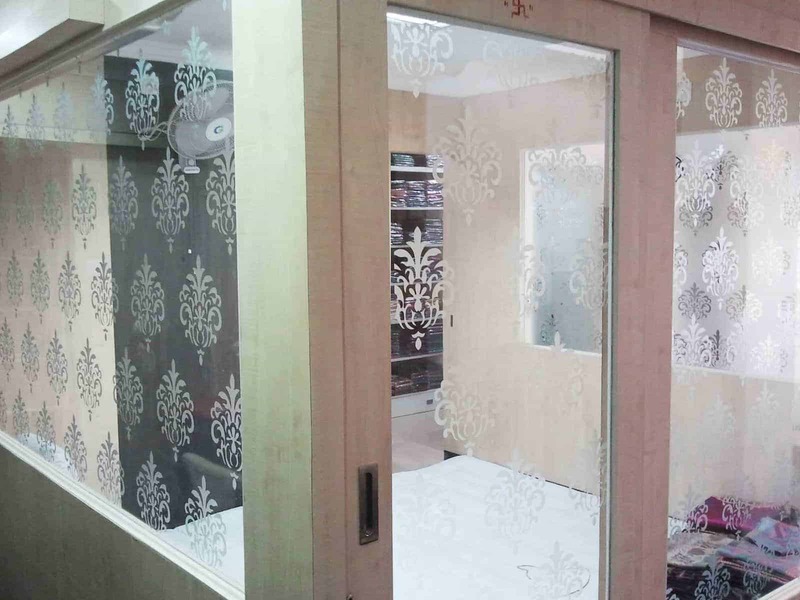 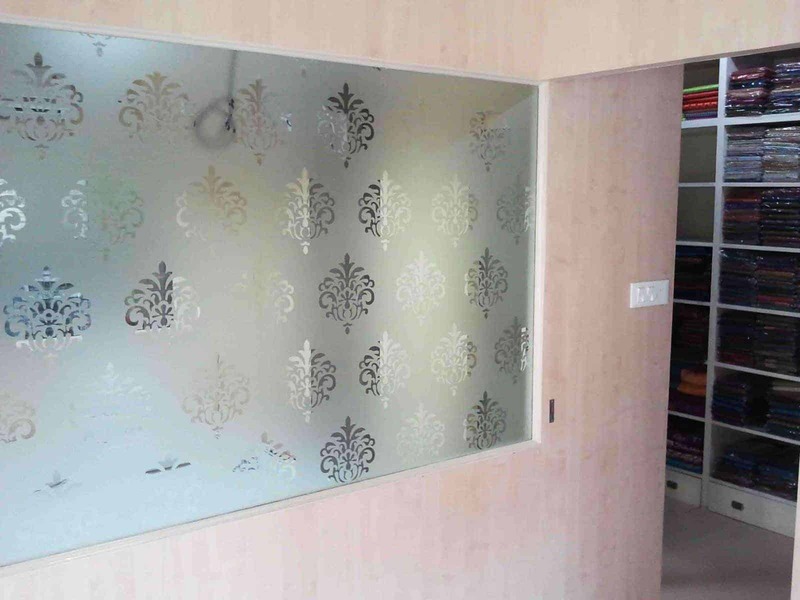 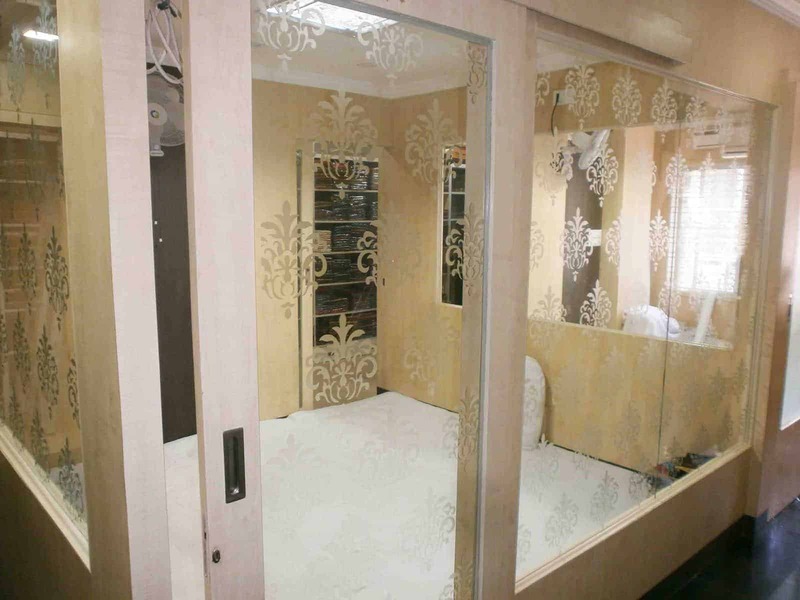 The pattern was cut in a glass frost film and these increased the privacy between each room which was private for a customer's buying experience.